Yoder & Frey Auctioneers has moved its company headquarters to a new facility in North Baltimore (Findlay), Ohio. 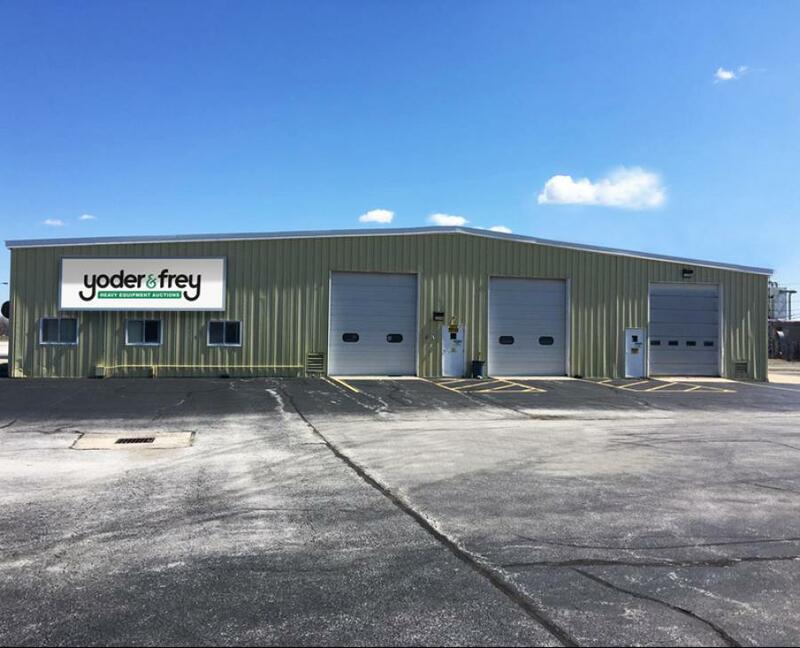 Yoder & Frey Auctioneers LLC recently announced that it has relocated its headquarters from Holland, Ohio, to a new facility located at 2384 Grant Road, North Baltimore (Findlay), Ohio. The move consolidates the company's headquarters with its Ohio sales site, which was formerly located in Ashland, Ohio. The new location gives the company more space and larger workshop facilities to better serve its customers. The 20-acre site features a paved equipment yard, ample secure parking and room for future expansion. Yoder & Frey plans to conduct its inaugural auction at the new location June 6. "Since the merger with Euro Auctions in 2017, Yoder & Frey has been exposed to an expanding global market, and whilst our home market is very important to us, we have found greater interest in all sales from across the planet," said Peter Clark, founder and CEO of Yoder & Frey. "This new interest means we are now getting more enquiries from consignors, and we needed extra space. In addition, offering sellers presale packages, getting their equipment ready for sale, is popular as it increases the hammer value. With the new workshops on site we can better offer this service." Founded in 1964, Yoder & Frey played a key role in establishing Florida as the construction industry's annual auction destination each February with its original Orlando area equipment auction, which was held in 1975. The company serves the construction equipment, truck, trailer, mining, farming and forestry industries with 10 to 15 auctions a year. In addition to its new headquarters, Yoder & Frey maintains permanent auction sites at 651 W. Southport Road, Kissimmee, Fla., and 300 Raymond Hill Road, Newnan (Atlanta), Ga.
Yoder & Frey is a part of the Euro Auctions Group, headquartered in Northern Ireland. The company will hold an auction at its Kissimmee, Fla., auction site on May 23 and its inaugural Findlay sale at the new headquarters on June 6.